A woman in Jönköping, central Sweden, has been cleared to reclaim her surgically-removed breast after explaining that she wished to afford it a dignified burial. The woman approached a biobank in Jönköping asking for her shorn breast explaining that she would like to be the one to decide its final resting place. Uncertain as to the legal praxis of returning removed body parts for burial, a coordinator at the biobank sought the guidance of the The National Board of Health and Welfare (Socialstyrelsen). "We have received an unusual request and I would like to have assistance with the legal aspects of the issue. 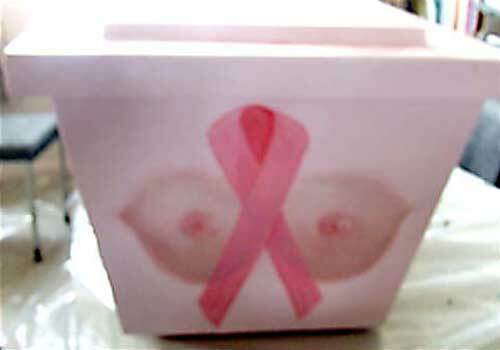 A patient has had her breast removed and wants it 'back' to bury it," the coordinator wrote. In an email dated January 16th a lawyer representing the board ruled that there is no legal hinder to acceding to the woman's request. "There is in principle no hinder according to the rules to release a patient's tissue or body part to the patient following an operation/amputation if this doesn't pose any risk for public health. "mThe lawyer explained that in his opinion "in normal cases" it is just a question of packaging the body parts in a suitable fashion in order to ensure that there is no risk of complications or infection.